By sending segmentation and profile property data to Facebook, you can more effectively reach targeted audiences with digital ads. You can stop targeting entire segments of visitors who are not a good fit for your advertising campaigns, or create new look-alike audiences based on data from your highest performing known and anonymous users. The Sailthru and MailChimp Connections give marketers increased ability to link their web and email communications strategies and make them both far more able to deliver relevant interactions. With BlueKai, one of the leading data management platforms (DMPs), we eliminate a major source of marketing blues (#puns) by linking the rich first party data from BlueConic and making advertising scenarios powered by BlueKai much more effective. The import/export capabilities in BlueConic are now faster, more flexible, and easier to use. The feature now allows you to add, set, or merge updates when importing values into BlueConic, as well as the automatic detection of the mapping between columns in the import file and the BlueConic profile. 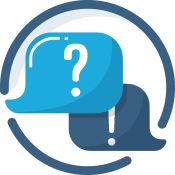 Connections such as Salesforce and MailChimp get even better in R41 because now, when you're using BlueConic, you can directly ask something from these – and other – serverside plugins right in the BlueConic interface. There's no delay and no need to go through the other tool to get the information you need. You can pick the position of a dialogue on a web page on the fly i.e. while creating it, instead of having to choose from preconfigured positions or creating the position from scratch. You may need to request permission from an admin to access this feature. There's a newly made zero configuration Google Chrome extension which automatically configures itself based on your BlueConic logins. You can test new channels just by adding them to your universe. We've added a notifications pane in the BlueConic interface that will be consistently updated with product information and useful new content. We'll post info about new features and then you can simply add them and have them preconfigured with a single click.